Unselfishness. This seems to be the watchword used most frequently by the dancers who nominated this couple and all who know Tom and Gretchen. 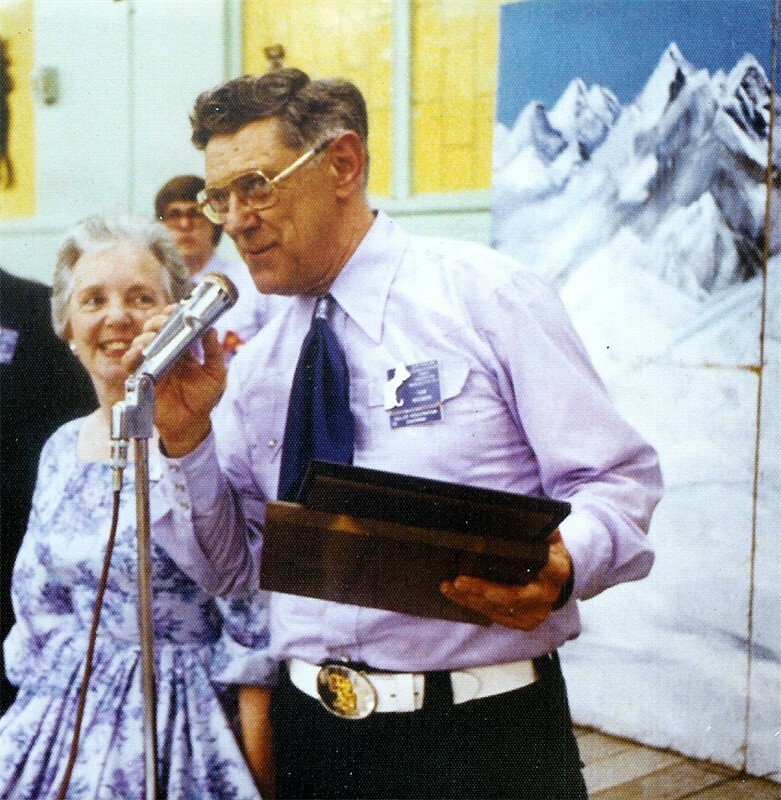 For more than a quarter century the Noonan’s have been teaching square & round dancing. Many of his pupils have attested to the patience, understanding and tack that have made potential square dancers into life-long friends as well as dancers. Tom taught and organized a group for the Bicentennial Pageant at the Portland, Maine Convention. In .1963 he organized a group of Heel & Toe Dancers to attend the New York World’s Fair to promote modern square dancing. A member of the Tri-State Callers Association, Tom has done his full share of the voluntary work of a callers association as well as having served in all offices through the Presidency. Tom is the epitome of the club caller. He is unselfish, concerned about his fellow man, and views square dancing as a wholesome activity suitable for all; which n turn makes him worthy of the Yankee Clipper Award.